Intent on actively opposing the rule of Philippines president Ferdinand Marcos, Senator Benigno Aquino returned from exile in the U.S. in August 1983, only to be assassinated upon his arrival in Manila. Public outrage in response to this and to the regime’s corruption led to calls for Marcos’ removal. 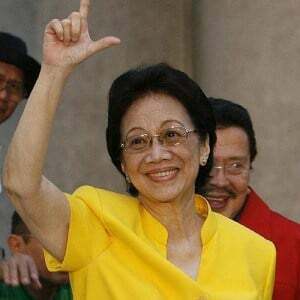 Corazon Aquino, the widow of Benigno, became a leader of the People Power Revolution and was convinced to run against Marcos in the election of February 1986. 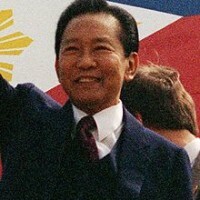 Once election results were released, Marcos claimed victory despite accusations of vote tampering and fraud. 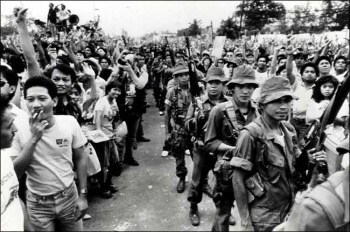 At Corazon Aquino’s urging, protestors took to the streets to demand Marcos’ removal. The protestors blocked government troops from dispersing the crowds in the capital and the forces retreated, peacefully ending the three-day revolution. On February 25, 1986, Corazon Aquino was inaugurated as president, a victory officially recognized by the U.S. That same day Marcos fled the country for permanent asylum in Hawaii, ending twenty years of autocratic rule. Stephen Bosworth served as U.S Ambassador to the Philippines from 1984 through 1987. In his February, 2003 interview with Michael Mahoney, Bosworth reflected on the shifting U.S policy toward the Philippines during Marcos’ final months, his personal experience with Corazon Aquino during her rise, and the initial stages of establishing U.S relations with a new Filipino government. To read more about the Philippines, political assassinations or South-east Asia, or to read about the fall of Marcos from another perspective, please follow the links. There was something of a course correction policy toward the Philippines… The Philippines, of course, is a very curious place because it is in Asia, but it’s not really of Asia in many respects. Someone joked that probably given my experience in Central America I was as well suited to go to the Philippines as anyone could have in terms of background. [In April 1984] the Philippines is getting ready for national assembly elections. This was the first significant political event since Aquino’s assassination. The first electoral process of any note that had taken place since Marcos had lifted martial law, which I think, was done in ‘81 or ‘82 or something like that… We were distancing ourselves from Marcos and from the Malacañang palace. Marcos himself by this time was not well. We knew that, we didn’t know exactly how ill. We weren’t sure what was wrong with him, but we knew he was not well. There was a political legal process that had been launched after Aquino’s assassination in response largely to pressures from the U.S. Congress to try to ascertain what actually had happened and who was responsible. It was a national commission that was interviewing witnesses and laboring away on this subject. This election was scheduled for May of 1984 and was the first time that members of the democratic opposition were allowed to run for office. The Philippines was a very tense place. Marcos had ruled there since 1965. He had imposed martial law in 1972. 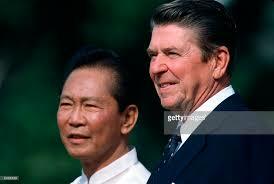 He had lifted martial law in the early ‘80s. There was an unbelievable level of corruption in the country. The military was both corrupt and repressive. The communist insurgency known as the New Peoples Army had begun to attract the attention of Washington intelligence analysts because of their growth. The democratic opposition lacked someone to rally around, who had been active politically before martial law, some of them even during martial law. 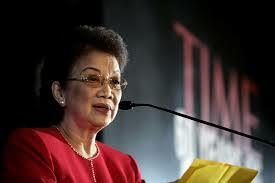 Corazon Aquino, Benigno’s widow had gone back to the Philippines after he was killed, she was there. She at that point was not very active politically other than as a symbol. The economy was in terrible difficulty. It had very little if any foreign exchange. Demand was repressed, depressed. The Philippine businesses were unable to obtain the letters of credit. They couldn’t do normal commercial business. It was just not a very easy time for the Philippines, and for the U.S. it was not an easy time. 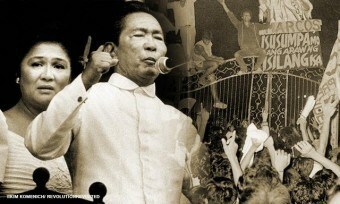 Many people had begun to accuse us of having propped Marcos up and having kept him in power. We were trying to distance ourselves from him but not to the extent to which we would bring him down. Reagan was president. He and Marcos had what they considered to be a close personal relationship. I couldn’t quite understand that because they had never spent all that much time together. at my recommendation. We were encouraging the political opposition to organize themselves more effectively. Washington was more or less backing us on that. Shultz was backing us very heavily. He saw very clearly that the long term relationship with Marcos had been changed here. Marcos had to change or our relationship had to change, otherwise we were placing our longer term interests in the Philippines at risk, because it was not in our interest to prop Marcos up beyond the time when his own national constituency didn’t want him. I kept telling Marcos that his problem was not how the message was being transmitted, it was what was in the message. He was not too fond of hearing that. I got along with him during all of that time pretty well. I rather admired him in some ways. I mean he was a man of enormous intellect. The only man in the Philippines I ever found I could sit down and have a kind of global conversation with. He reached a point where his moral compass had gone badly astray. He had no vision of his own life beyond being president of the Philippines. He was not in good health. He was under pressure from his wife and various cronies around him to just keep plunging around him because they knew if he left or if he reformed to any significant extent that they were, their status was very much at risk. [His wife] was always subservient to his decision. The notion of Imelda is as a kind of an independent presence; presence, yes, but independent decision-making? I’ve always found difficult that to accept. For example there were those who thought that she was the one responsible for the assassination of Aquino, she and the chief of staff of the armed forces. I never was able to agree with that because it seemed to me neither of them would have dared do that without Marcos’ informed consent. Finally, in the fall of ‘85 the pressure on Marcos had become quite severe… I was continuing to tell him very strongly that he had to allow more space for the opposition, he had to do something about bringing those who most people thought had been responsible for Aquino’s assassination, at least have been the agent of that, he had to bring them to justice in incredible fashion. He really couldn’t bring them to justice in credible fashion because that would have cost him all of his support or much of his support that he had within the senior ranks of the military. So, in November of ‘85, while being interviewed on one of the Sunday morning talk shows on American television, suddenly Marcos said, well, I’m tired of you guys pressing me and I’m going to have an election and then I’ll show you who really deserves to run the Philippines. He called an election, the so-called “snap election.” This was in November. The election was scheduled for early February. Corazon Aquino was persuaded by some people in the opposition that she should be a candidate. She and a fellow named Salvador Laurel fought it out as to who would be the presidential candidate. She won and Laurel became vice president. [Laurel] was constantly besieging me to try to get me an interview with her and persuade her that they should be reversed. The ranking should be reversed and he should be the presidential candidate. The U.S. position in the Philippines was really in a way kind of unique. We were, on the one hand in the minds of many Filipinos, seen as the great Satan of the West. On the other hand we were seen as the deus ex machina from whom all solutions would come if only we decided that’s what we wanted to do. Most of the Filipinos were saying two thoughts in their minds simultaneously. There was a degree of dependence, if you will, on the U.S. that was very much exaggerated in many respects. People really thought that Marcos was still there because we wanted him to still be. shaking hands. I think from the beginning he thought he was going to win easily. He was out of touch with popular sentiment. and elsewhere around would be as great as they were. assembly predictably to introduce the vote saying that he had won. Well, that wasn’t the end of it, contrary to what I think he had assumed to be the case, because then the public antipathy began to rise. They didn’t just shut up and go back to being a housewife. The opposition became even more vigorous. Because of pressures in our own congress and in our own public, we remained very engaged. We came to the position of pushing away from Marcos in that week or two after the election. There was one, I remember, one statement out of the White House that Reagan was quoted as saying, well, there was probably some cheating on both sides, at which point the Filipinos went nuts. I fired back a message to Shultz and to the White House saying that we couldn’t stay on that position. Fortunately over the next three or four days, with a lot of heavy lifting from George Shultz, the White House issued another statement that said the government had not run a fair election. 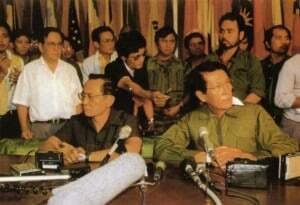 There were partisans of a view that we should not abandon our friends and Corey Aquino (seen right) was a non-entity, unknown and untested, and that the democratic opposition in the Philippines was dangerously leftist and that our presence at the bases would be at risk and that we should continue to back Marcos. Phil Habib, who was then retired from the Foreign Service, came out as an envoy from the president about a week after the elections when all of this was boiling away; he came out basically to gain us some time. I mean there was nothing he could do other than go around and see a lot of people, which he and I did including Marcos and Aquino. Phil came away from that week convinced that Marcos had lost the capacity to govern and was no longer capable of governing because he didn’t have the support of the Filipino people anymore. He went back to Washington to expound that point of view which was the point of view that I was expounding from the embassy. Marcos’ forces basically knew that these guys were plotting a coup. We knew it in the embassy as well. I had been sending word back to the coup plotters to stop it, not to do it, because as much as I thought Marcos should go, I thought it would be in some ways be totally disastrous to have him replaced by a military government. They also knew that Juan Enrile, the minister of defense, was involved. That was of course quite a shocker because he really had been a long time supporter of Marcos. This group of colonels and young officers took refuge in one of the military camps out on the outskirts of Manila. CNN finally, the first time, had the capability to telecast directly via satellite and they had a cameraman and a reporter in the camp where the military people were holed up. So, I alerted Washington; it was early morning back there. They were watching it on CNN. They knew more about what was happening on the ground there than I did in the embassy because I didn’t have access to CNN. 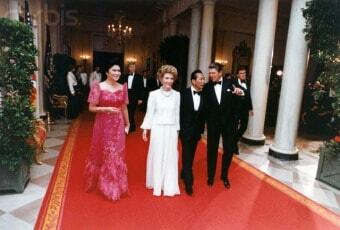 That evening I was in contact with Mrs. Aquino’s camp and her directly. She had been down in the central Philippines. We were very concerned about her safety and I offered her refuge on a U.S. naval vessel that happened to be in the vicinity. I told Washington afterwards that I was quite confident that they would approve. I had been in contact with her brother who was one of her principal advisors during the political campaign because they were very concerned that Marcos would try to knock her out by basically assassinating her, which was not by any means unthinkable. Washi ngton had given its approval with the notion that if everything else failed I could invite her to come to the embassy residence. I couldn’t do that because she was not in Manila, but I did offer her refuge on the ship. She wisely concluded that she didn’t want to do that. She didn’t want to appear to be under U.S. sponsorship, so she took refuge for the night in a convent and then early the next day came back to Manila. In the meantime Cardinal Jaime Sin had gone on Radio Veritas which was a very small transmitter sponsored by the Catholic church when he learned that Enrile and [Acting Chief of Staff General Fidel] Ramos and their supporters were in the military camp and he said to the Philippine public that you’ve got to go help them, take them food. Of course at that point people began to pour out into the streets and once that happened it became clear that this may have started as a military coup, but was much more than that now. [Corazon Aquino] came back the next morning and she sort of took visible control…which was very important because I was very conscious of the need not to be seen as to be putting the U.S. behind a military coup attempt. Since we had by this time pretty much concluded publicly that she had basically won the election, there was nothing wrong with putting our support behind her. I said, “Well, we don’t agree that it’s a military coup any longer. We think that it is something bigger than that. Anyway, these are my instructions.” I then got back to him the next day. He was in the palace with his family and his grandchildren. There is a big Filipino presence in Hawaii. He knew Hawaii. It was very important to us and to President Reagan in particular that we not allow him to be harassed, that we would give him safe haven basically in the United States, but we wouldn’t let him go back to the Philippines. Well, he never really had a complete safe haven because the legal people began coming after him very quickly. Eventually, even after his death they continued to go after the estate. He never went back to the Philippines until after his death. Mrs. Aquino comes to power and a great upsurge of national spirit and good feeling. The U.S. for a time at least was, we were heroes, because we had taken him out. I remember going down to call on her the day after Marcos had left. She was not yet living in the palace. She was in her office in her family’s building. As I ca me out having exchanged statements of good feeling with her and her principal aides, a big crowd of people on the outside all started cheering for the U.S. and me. It was really kind of an extraordinary experience since I previously used to go into my office at the embassy driving through large crowds of demonstrators all saying, “Bosworth go home.” Some of them had little clips underneath saying “Bosworth go home and take me with you.” Filipinos had a sense of humor if nothing else. ambassador, but in this case it was more demanding because she had so little experience. She was a woman of tremendous integrity and great courage and I liked her generally and personally. She liked me and she liked my wife. Her great supporter turned out to be George Shultz. Others in the Reagan administration were less enthusiastic about her and many questioned her ability to run the country effectively. I always considered that she was sort of the mother of the Philippines. Her role essentially was to oversee the reestablishment of democratic institutions. There were missed opportunities. The government was not very coherent. It was torn from the right and from the left. There were great divisions within the government so that particularly in terms of economic policy, there were opportunities that were lost that were not regained until she finished her presidency and Fidel Ramos became president. That was a time of considerable consolidation and forward movement economically. Under her the Philippines became a democracy again, with all of its imperfections.